Pricedrop takes price down to £26.95 with free deliverey. The RAC635 is a small, powerful inflator that makes tyre care easy. Setting up is simple: turn the dial to the pressure you want your tyres to reach, click the dial, then press start. The inflator will inflate until the selected pressure is reached, then automatically stop. The backlit digital screen shows progress clearly, with pressure displayed in KPA, PSI or BAR. It is powered directly from your 12V in-car socket, making it convenient to power at home or on the road. The cables are long enough to reach around a car to all four tyres. The deflation valve makes small adjustments to the pressure easy. Not just great for car tyres: the three piece adaptor kit means it can be used on bike tyres and small inflatables like footballs. Stores away tidily, with all the cables and attachments fitting neatly onto the unit and in the included case. The built in LED light makes inflating at night easier and safer, and can be set to SOS mode to attract attention or warn other motorists. The RAC635 is a multi-award winner. It won Auto Express’ Best Buy Award in 2014, and Professional Driver magazine’s Best Buy for mini air compressors. 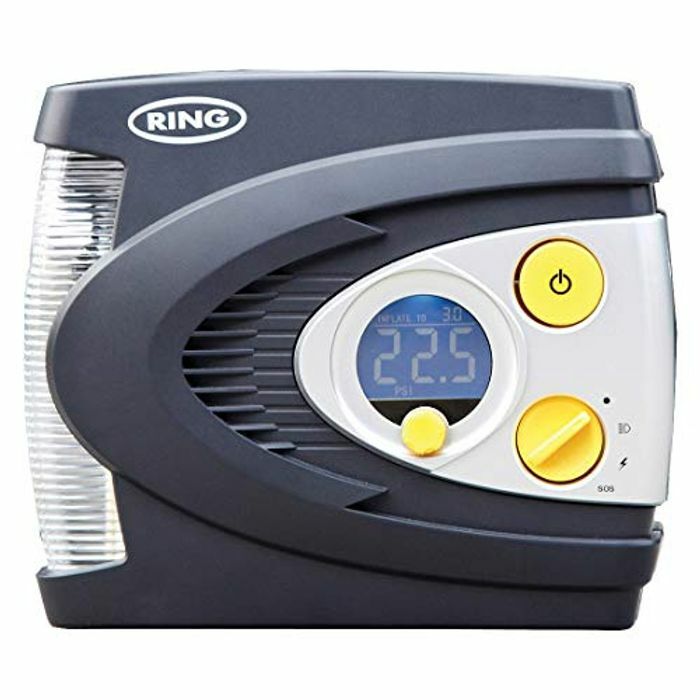 The experts agree: this is the best mini digital air compressor there is. We have 69,281 Amazon deals and 756 Amazon discount codes on Latest Deals.